Start off March break with a fun afternoon of art! Recommended for ages 5 and up! Help your child with their masterpiece, or each create your own! 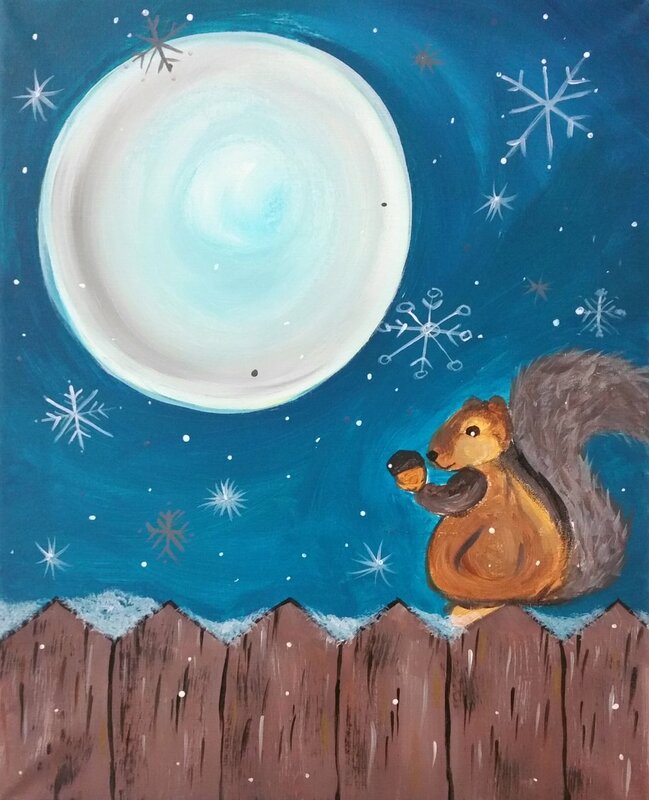 Spend time together as you are instructed through a 16”x20” painting of Squirrel! The afternoon begins at 2:00 and lasts approx. 1.5-2 hours. Make sure you come about 15 minutes early to settle in!